From the cult favorite Buffy the Vampire Slayer, which netted four million viewers per episode, to the summer blockbuster The Avengers, which amassed a box office of $1.5 billion, Joss Whedon has made a name for himself in Hollywood for his penchant for telling meaningful, personal tales about love, death, and redemption even against the most dramatic and larger-than-life backdrops. This biography follows his development from a creative child and teenager who spent years away from his family at an elite English public school, through his early successes—which often turned into frustrating heartbreak in both television (Roseanne) and film (Buffy the Vampire Slayer)—to his breakout turn as the creator, writer, and director of the Buffy television series. 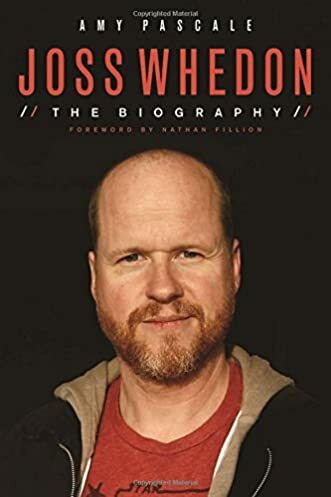 Extensive, original interviews with Whedon’s family, friends, collaborators, and stars—and with the man himself—offer candid, behind-the-scenes accounts of the making of groundbreaking series such as Buffy, Angel, Firefly, and Dollhouse, as well as new stories about his work with Pixar writers and animators during the creation of Toy Story. Most importantly, however, these conversations present an intimate and revealing portrait of a man whose creativity and storytelling ability have manifested themselves in comics, online media, television, and film.